Reporters Without Borders (RSF) announced on Wednesday it has launched an international campaign in alliance with human rights organizations and journalists' and media associations against surveillance by the German Federal Intelligence Agency (BND). The draft law makes distinctions between journalists from EU countries and journalists from non-EU countries. According to the law, journalists who are citizens of non-EU countries can be subjected to surveillance even without a court order if it is against the "interests of Germany." The RSF said the draft law does not contain any restrictions for the surveillance of journalists, which it says is "a serious encroachment on press freedom worldwide" even though the G10 law, which stipulates the privacy of correspondence, creates "major legal obstacles to prevent systematic spying on journalists." An online petition was made available on Wednesday by the RSF and other organizations have also joined the initiative including Amnesty International, the European Federation of Journalists (EFJ), the European Centre for Press and Media Freedom (ECPMF), German Federation of Journalists (DJV) and German Union of Journalists (dju), Netzwerk Recherche (nr). The Organization for Security and Co-operation in Europe's (OSCE) Representative on Freedom of the Media Dunja Mijatovic also voiced concern about the proposed law, which was debated in the Bundestag. Mijatovic was quoted as saying on the OSCE website: "The increasing surveillance capabilities on journalists is a clear threat to media freedom. This draft law runs counter to the very core of fundamental freedoms such as media freedom and freedom of expression." She also called on parliament to revise the draft law and ensure the protection of journalists independently from their nationality. The petition against the draft law will be presented to parliamentary groups including the Christian Democratic Union (CDU)/Christian Social Union (CSU) and Social Democratic Party (SPD) in mid-September, according to the RFS's website. Those who signed the petition say spying on journalists is an attack against freedom of the press and have urged the German federal government to reconsider the plans and ensure their protection, as well as freedom of the press. 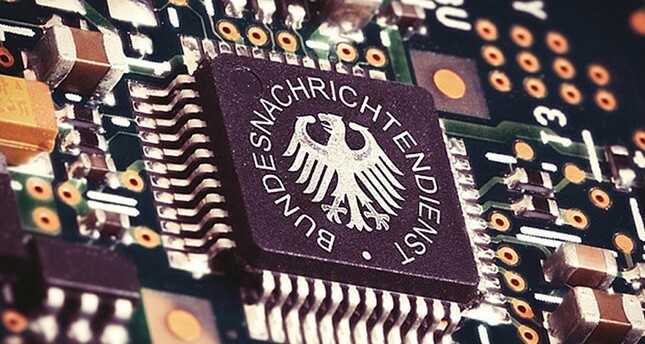 The RWB also said the issue "is a particularly thorny issue, because the BND can provide foreign intelligence services with information that they are not allowed to collect in their own countries. This creates an international surveillance network, which ultimately affects all journalists."